How my Face became so Clear!! Hope you’re all having a lovely morning! As you all may know I have recently been visiting Laser Clinics Australia, to remove my unwanted hair. I’ve had such an amazing outcome with their treatment, service and hospitality. Its so important to feel comfortable and confident going to clinics that will have such an impact to you and this is exactly how I felt. A few weeks ago one of the lovely ladies at Laser Clinics Australia Jenny, introduced me to a facial peel. She mentioned how it will leave my skin feeling smooth, clean and fresh! So, I decided to get the AHA Enzymatic Peel. This would be a gently micro-exfoliating treatment, that’s designed to soothe, hydrate and micro-exfoliate flaking and sensitive skin. The reason they call it “micro” exfoliate, is because it gets in all the deep and small places under your skin and gives it a very deep clean. The treatment took about 20 or so minutes and felt quite powerful. It felt like someone had removed my old, used and essentially dirty skin and had replaced it with a fresh, new and clean layer to work on. The cleanliness wasn’t my only happiness, yet the day after when I came to apply makeup, that was when I got excited. My makeup sat so perfectly on my new layer of skin and did not move. The foundation looked so smooth and flawless, I was impressed. I definitely saw a difference and would highly recommend it to anyone. 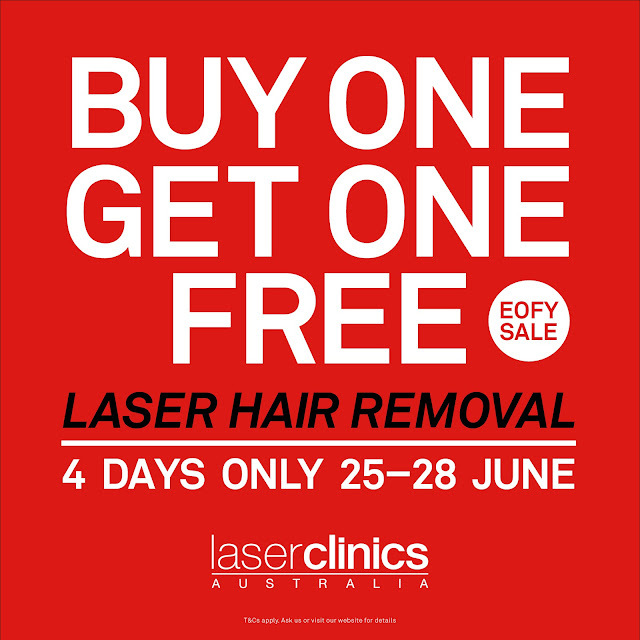 Laser Clinics Australia is also currently also launching their EOFY sale. Where you can purchase 2 for 1 laser! Its only for 4 days and it begins today!!! 🙂 From Thursday 25th June – Sunday 28th June. TUMBLR INSPIRED 90s OUTFIT IDEAS! Previous PostPrevious TUMBLR INSPIRED 90s OUTFIT IDEAS!